When I walked past the Hacienda, I saw the glow of firelight from within and I knew Shannita was there, piling logs on the fire in the huge old stone fireplace. It was cold that night and we needed the heat. Shadows flickered and I paused to look in on the cozy sight. What I witnessed was not at all the comforting scene I had imagined; in fact, it chilled my blood and left me breathless. 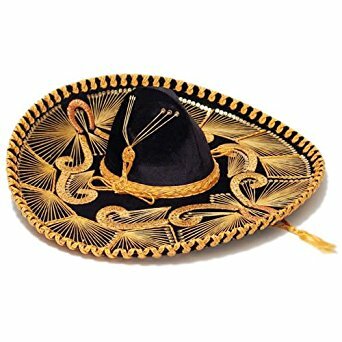 There lay Shannita, on the floor, her Magic Sombrero cast aside on the dusty floor. She appeared lifeless and panic seized me. I rushed through the narrow doors to her side, banging my elbows as I burst into the room, my heart beating wildly. I grabbed her shoulders and shook, but she did not respond. I checked her pulse, which was bounding. Her breath was shallow. Her skin was feverish and clammy. “Shannita! Wake up,” I yelled, and slapped her cheeks. She stirred as if to wake, then bolted upright, screaming. She fought me as if for her life until she realized I was not the being that harmed her. “What the hell happened to you?” Her eyes darted around the room, fear still driving adrenaline into her system. “I don’t know! I was stoking the fire when I was overcome with a feeling like . . . I don’t know. Doom.” she said, sweeping her fingertips over her eyes as if to erase the image. “And then I was pushed to the floor. Or maybe I fainted, because I recall nothing after that,” she said, shaking her head and running her fingers through her cropped hair. I thought she was being a bit dramatic and I reassured her that no one was around. We had the Ranch to ourselves and she was safe. She nodded, the color rising on her cheeks revealing her embarrassment. I helped her up and, when she turned away from me, I saw the large sooty handprints on her back and my throat filled with a scream. Write your own Ghost Story and share it in our private Facebook Group.